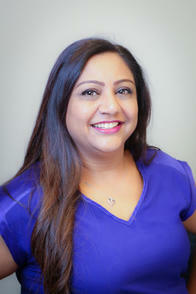 I’m Heena Patel I’ve been an Allstate agent for year & half and have studied Business Administration with advance Accounting from Trios College. I am Born and raised in India, Surat, Gujrat, moved to Canada in 1996 at the age of 20 and have been a proud Canadian since. I speak English, Gujarati, Hindi & Urdu. This wide range of experience has provided me with the knowledge needed to serve my customers with the best quality, care and advice. I’m a proud Wife & a Mother of 2 kids and Puppy who is also pleased to call Cambridge home. Some of my greatest passions including travel, watching Cricket & Baseball, learning about different cultures and spending time with family. As an Allstate agent, employee and neighbour of Cambridge, I’m proud to bring good to life right where I live – supporting and strengthening our communities volunteering from Meals on the wheels & Community Support Connections.